Providing Home Health Care Services in Chicago for over 30 years. Homewatch CareGivers Northshore is a professional home care agency dedicated to providing comprehensive in-home care services, senior and elder care services, Alzheimer’s & dementia care, as well as home health care services to Chicago area residents, including Cook County and Lake County in Illinois. We are available 24 hours a day, 7 days per week and can provide dependable home health care services tailored to meet your individual needs. At Homewatch CareGivers Northshore we specialize in providing you with the Best Home Care Professionals in Chicago. 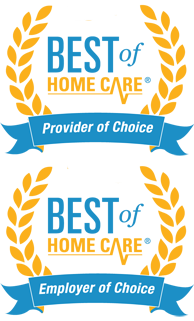 You will have many options when it comes to choosing an in-home health care provider in Chicago. Whether you are searching for personal care services, assistance with physical therapy, in-home care for an elderly loved one, Alzheimer’s or dementia care or 24 hour in-home care, Homewatch CareGivers Northshore will work with you to determine which type of home care service is the most beneficial for you’re your particular situation. Our compassionate and certified dementia care team serving the Chicago area understands that caring for a family member with memory impairment is stressful, and having a neutral caregiver from outside your family can help ease the emotional burden that comes with caring for a loved one. 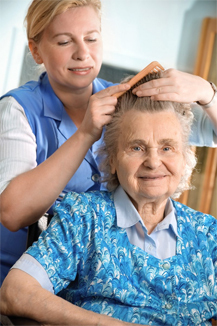 The first step to finding the Best Chicago Home Care agency is to determine the level of care that is needed. To learn more about the comprehensive in-home care services, senior and elder care services, Alzheimer’s & dementia care, as well as home health care services we provide to Chicago area residents and to see what level of care you or your loved one may need please contact us at (847) 616-5600 or CLICK HERE to schedule a FREE – NO OBLIGATION HOME CARE ASSESMENT.